Single barrel pack of six tight-grain, single-toast, northern American White Oak spirals for through-bung application. 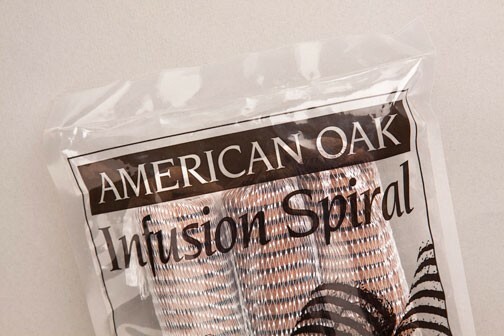 The Oak Infusion Spiral releases fresh, new-barrel, toasted oak aroma and flavor through its patented, spiral-cut design. The abundance of cross-grain exposure speeds extraction of oak compounds 8 times faster than conventional parallel-grain exposure associated with barrel staves, inserts, sticks and chains of oak. Spiral-cut design also enables oak to submerge quickly into wine, minimizing exposure to air while creating more layered complexity. One barrel pack of six individual spirals, each spiral carved out of 9-inch long cylindrical segments of premium-grade barrel stave wood, are contained and linked together by a food-grade nylon mesh. 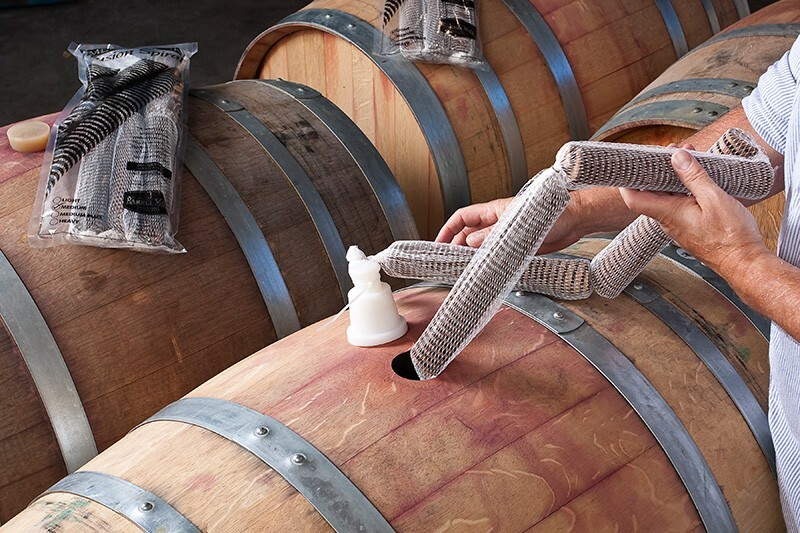 The mesh also permits wine to freely contact all surfaces of each spiral.